The Harrod Sport ® Classic 5 v 5 Freestanding Heavy Duty Steel Football Posts are heavy duty goal posts designed for outdoor location that have constant heavy use. 2 x Freestanding Steel Goal Posts. Please note counter balance weights to be ordered separately. Please search on our website for Harrod Sport Counterbalance Weight Anchor. 1 x Freestanding Steel Goal Post. Designed for outdoor locations which have heavy usage. Manufactured from 48mm x 3mm thick steel. 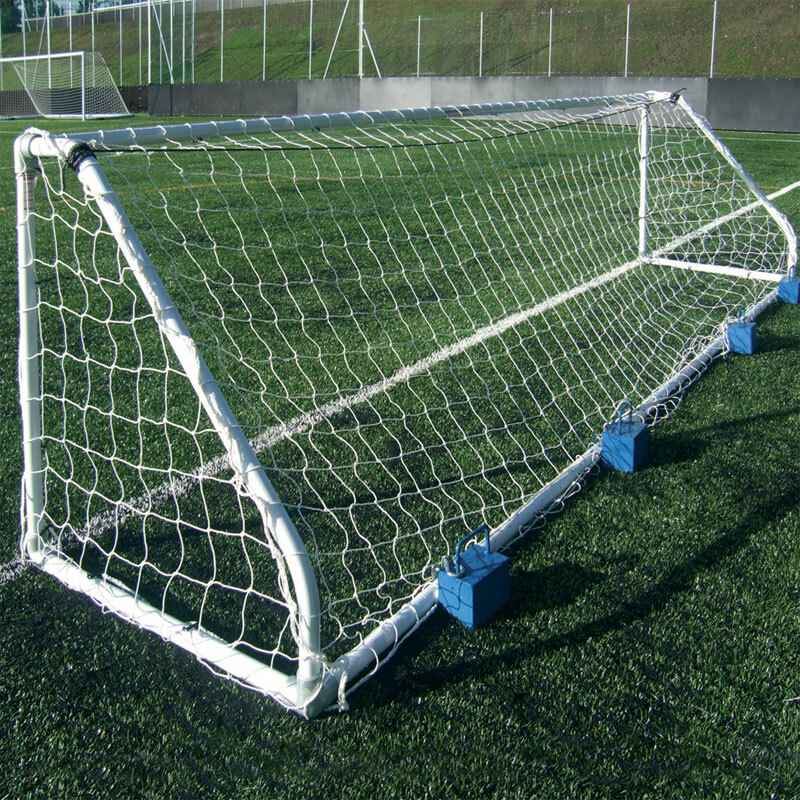 Crossbars and sideframes are polyester powder coated white. Heavy Duty tube clamps ensure a secure assembly of all joints. 4.88m x 1.22m (16' x 6') - 132kg per pair, 66kg per single. 3.66m x 1.22m (12' x 6') - 114kg per pair, 57kg per single.